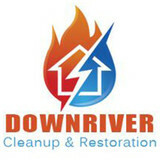 Downriver Cleanup & Restoration is the #1 Cleanup & Restoration in Downriver, Michigan. 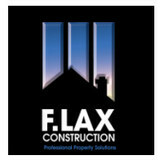 We specialize in both commercial and residential properties. We handle everything from water damage to smoke damage to fire damage to mold removal and carpet cleaning. We do it all. If you are looking for a company you can depend on, give us a call today! We also keep someone on call 24/7 for emergencies. 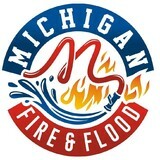 Michigan Fire & Flood is a damage restoration contractor serving the Clinton Township, MI area. Services include Water Damage Restoration, Emergency Water Removal, Dry Out Services, Basement Flood, Burst Pipes, Flood Damage, Sewage Cleanup, Toilet Overflow, Storm Damage, Fire Damage Restoration, Smoke Damage Restoration, Mold Detection, Mold Removal, Odor Removal, Board Up Services and Vandalism Damage. Constructeam was created in 2005 in the mist of a transformation in the Michigan economy, the real estate market was falling off a cliff, there was a mass exodus of manufacturing, and unemployment was on the rise. I was limping out of the new construction industry as it was going into extinction. Hurricane Katrina had just come ashore a couple months earlier and the stage was set for a new focus. It is now 2015 and literally thousands of successful projects have enjoyed the Constructeam experience. As a result, we now have a strong fleet of trucks and all the equipment we need, a full service emergency response department, highly qualified project managers, field supervisors, estimators, administrative personnel, 3,000 sq ft. design center complete with home designers, cabinet designers, a chief financial officer who makes sense of it all, hundreds of approved contractors, and a superior restoration software system that allows us to keeps track of all of it in our 20,000 sq ft headquarters in Fraser, Michigan. Mold, asbestos and lead paint testing for restoration and home improvement projects. Visit <a rel="nofollow" target="_blank" href="http://www.HepaAirScrubber.com">http://www.HepaAirScrubber.com</a> or call 800-391-3037 for lowest price and cost for Warren MI Air Scrubber Rentals today! Red Sky Rentals provides comprehensive equipment rental solutions for all of your immediate disaster, water damage and fire restoration needs nationwide. Our portable air scrubbers are ideal for homeowners and contractors dealing with the effects of fire, smoke or water damage. We can quickly provide the disaster cleanup and remediation equipment you need. Hepa Air Scrubber Rentals of Detriot MI & Red Sky Rentals provide comprehensive equipment rental solutions for all of your immediate disaster, water damage and fire restoration needs nationwide. Our portable air scrubbers are ideal for homeowners and contractors dealing with the effects of fire, smoke or water damage. We can quickly provide the disaster cleanup and remediation equipment you need. Water Mold & Fire is who the people of Detroit turn to when their home or business needs water damage restoration, mold removal, or fire damage restoration services. Our company is standing by 24 hours a day, 7 days a week, 365 days a year to make sure we are available when you need us most. These problems often happen when least expected, so it is important to have immediate response available to avoid even bigger problems down the road. So if you are currently experiencing these types of issues in or around Detroit at your home or business, give us a call. Hepa Air Scrubber Rentals of Toledo OH & Red Sky Rentals provide comprehensive equipment rental solutions for all of your immediate disaster, water damage and fire restoration needs nationwide. Our portable air scrubbers are ideal for homeowners and contractors dealing with the effects of fire, smoke or water damage. We can quickly provide the disaster cleanup and remediation equipment you need anywhere in the Toledo OH & surrounding areas! 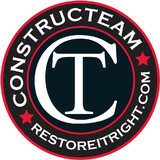 Onpoint Property Restoration LLC is a damage restoration contractor serving the Almont, MI area. Services include Water Damage Restoration, Emergency Water Removal, Dry Out Services, Sewage Cleanup, Burst Pipes, Basement Flood, Flood Damage, Disaster Cleanup, Toilet Overflow, Sump Pump Systems and Mold Removal. Serving towns of Warren, Sterling Heights, Clinton Township, Rochester, Troy, Waterford, Utica, Pontiac, Macomb, Roseville, Bloomfield Hills, New Baltimore, Clarkston, Lake Orion, Madison Heights, Lapeer, Harrison Township, Oxford, Birmingham, Auburn Hills, Mount Clemens, Washington, Fraser, Ortonville, Clawson, Romeo, Imlay City, Metamora, Richmond, New Haven, North Branch, Columbiaville, Attica, Almont, Marlette, Yale, Brown City, Armada, Dryden, Leonard, Casco, Columbus, Keego Harbor, Memphis, Oakland, Ray, Avoca, Capac, Allenton, Goodells, Emmett, Peck, Clifford, Melvin, Hadley, Addison Township, Anchorville, Berlin, Berville, Bloomfield, Bloomfield Township, Brockway, Bruce, Chesterfield, Drayton Plains, Fargo, Goodison, Greenwood, Independence, Kenockee, Lake Angelus, Lakeville, Lenox, Lum, Lynn, MI Metro, Mussey, Oakland Township, Orion, Riley, Rochester Hills, Selfridge, Shelby Township, Sylvan Lake, Wales, Washington Township and Waterford Township. Find environmental services and restoration professionals on Houzz. Narrow your search in the Professionals section to Hamtramck, MI residential environmental testing and home disaster restoration services to find a list of qualified professionals. Read through professional profiles for information on qualifications, experience and services provided.